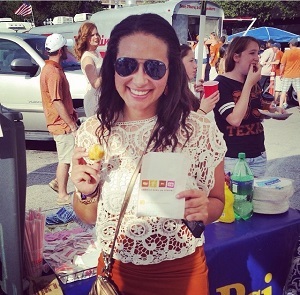 Meet Our BranDD AmbassaDDor: Sela from University of Texas at Austin! Hi y’all! My name is Sela and I am the BranDD AmbassaDDor for Dunkin’ Donuts at The University of Texas at Austin (UT). I am currently a junior majoring in Business Honors and Marketing, minoring in Operations Management, and obtaining a certificate in Global Management. I hope to pursue a career in International Brand Marketing. I am from Texas and am a huge sports fan… Go Cowboys! I love to travel and have spent the past summer studying in Hong Kong and volunteering in Vietnam. I have had a blast being a member of the BranDD AmbassaDDor team in Austin. 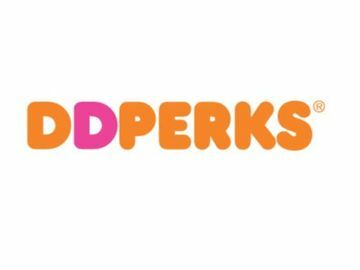 My favorite donuts are blueberry and glazed Munchkins® because they are yummy anytime and anywhere! 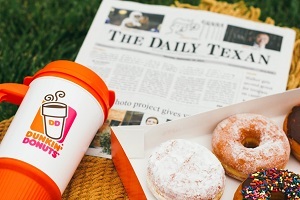 Dunkin’ Donuts is expanding rapidly in the Austin area, which is super exciting! The most recent store opening occurred in Bastrop, TX on November 28th, bringing the number of stores in the Austin area to five, with plans on continuing this expansion over the next several years. 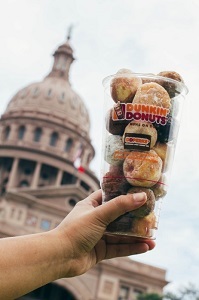 One way Dunkin’ is spreading the word about their presence in this great city is by sponsoring various events in the Austin community. We’ve been sampling at the University of Texas football and basketball games, Round Rock Express minor league baseball games and 5K races. 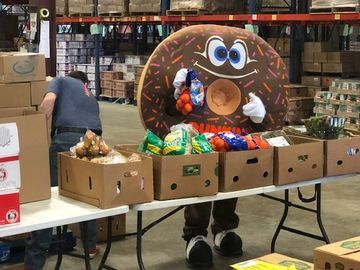 We’ve also have sponsored various student organization philanthropic events including Dessert with DG, Texas Wrangler City Wide Hold Up and AKY Kickball Tournament. 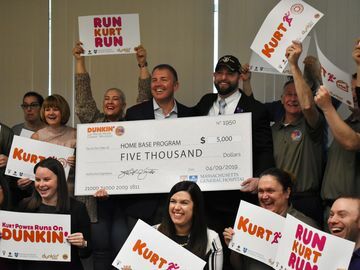 These events provide a fun and relaxed atmosphere for students to interact with the Dunkin’ brand, while highlighting Dunkin’ Donuts commitment to helping students succeed. For images of these events, check out my Instagram page, UTDonutRep!